Microway’s preconfigured Tesla GPU clusters deliver supercomputing performance at a lower power, lower cost, and using many fewer systems than standard CPU-only clusters. These clusters are powered by NVIDIA Tesla V100 “Volta” or Tesla P100 GPUs. Tesla GPUs speed the transition to energy-efficient parallel computing and scale to solve the world’s most important computing challenges more quickly and accurately. Successfully deployed in demanding applications at research institutes, universities, and enterprises, Tesla GPUs power the most powerful supercomputers worldwide. Applications running CUDA-based code on Tesla GPUs see speedups of up to 250x in domains ranging from MATLAB to computational fluid dynamics, molecular dynamics, quantum chemistry, imaging, signal processing and bio-informatics. See NVIDIA’s full list of GPU-accelerated applications. 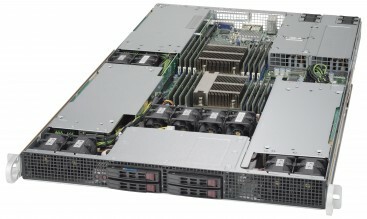 It is easier than ever to harness GPUs in your applications. Many libraries include pre-optimized GPU support; language bindings are available for Python, Java, C#, C, C++, Fortran and more. OpenACC allows a single C/C++/Fortran codebase to be used across GPUs, x86 CPUs, and POWER8 CPUs (much like a GPU-accelerated OpenMP). Visit NVIDIA’s GPU Software Development Tools site for more resources. 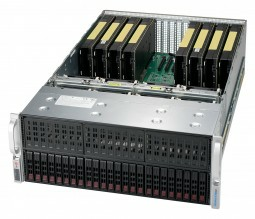 Microway offers a wide variety of servers optimized for GPUs. Any of these may be custom-integrated and combined into a unique configuration to fit your requirements. 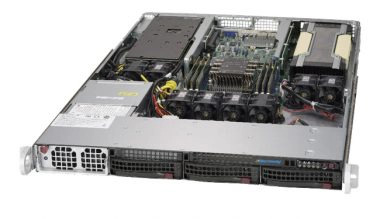 View a full list of Microway’s GPU-Accelerated servers. 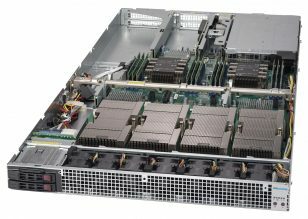 An external GPU chassis allows addition of GPU compute capability to your existing HPC infrastructure. We partner with several vendors to supply GPU expansion systems compatible with almost any of your servers. These external systems support both PCI-Express generation 2.0 and generation 3.0 GPU devices. Up to 16 GPUs may be connected to a single server via 1-meter cables. Contact us to learn more about compatibility and pricing. You have no idea how helpful and dependable you are.